Thomas Biggs Vernier Compass, Philadelphia, Pennsylvania, first quarter 19th century, lacquered brass instrument with 6-in. dia. silvered dial marked "Thomas Biggs/Philadelphia," (lacking blued-steel needle), with needle lifter on underside, single bubble level, vernier and two sighting vanes. Note: Thomas Biggs was active in New York from 1786 to 1792, and Philadelphia from 1793 to 1819. 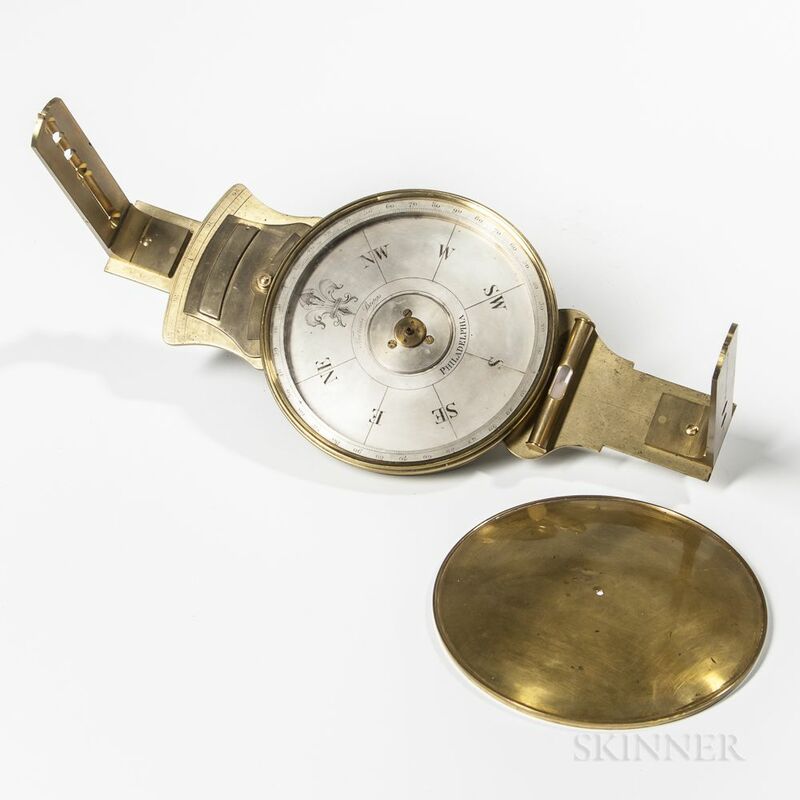 In 1819 he advertised as a distributer of surveying instruments made by Thomas Whitney. This instrument, while marked Thomas Biggs, was most likely made by Whitney around 1819.
level, sighting vanes were machined by Robert Miller, lacking needle.